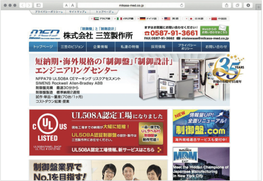 Your Ultimate Guide to Product Promotion in the Japanese Control Panel Market - japancontrolpanels Webseite! With over 700 highly targeted hits a day your company’s banner will be prominently placed on our website. Over 255,500 visitors a year will see your banner. 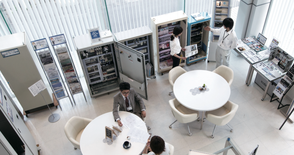 MED is so passionate about control panels and advancing the control panel industry in Japan that many years ago we bought the domain name “Seigyoban” or Controlpanel. com. 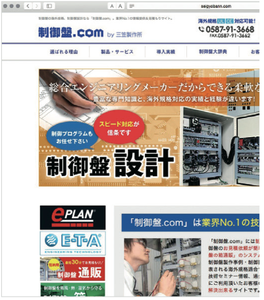 Little did we know that in a decade that it would become the Number One mail order site for control panels in Japan. Your company and its products will be featured on controlpanel.com. We have a virtual showroom where buyers, engineers, and other industry professionals can schedule times to watch live demonstrations from their computers and explore new products, parts and technologies. 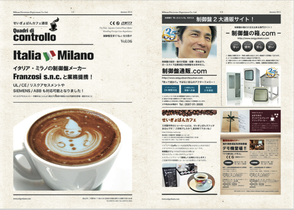 We will work hard to promote your company’s products for our online showroom customers. Our trade magazine Control Panel Café Dispatch is one of the most effective ways for getting your company exposure in the Japanese market. In Japan presentation is everything. This beautiful glossy magazine with high quality photos contains informative articles and catchy advertorials making products attractive to potential customers. MED gives more than six free seminars a year on issues pertinent to control panels. Popular topics include “International Standards” and “Cost Effectiveness”. The seminars are always filled to capacity well in advance with a waiting list. Our seminars are divided into three sections. One of those sections will feature your company’s product. 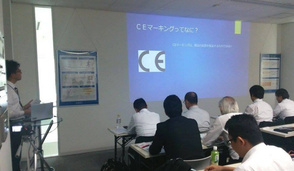 We frequently invite company representatives as guests to speak at our seminars. 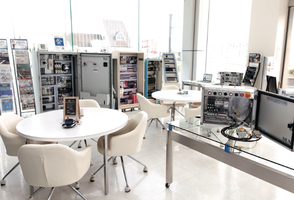 We have created a showroom that feels like a living room, where Customers can come, have a coffee and have as many products demonstrated for them as they desire. Along with demonstration models we have many machines from different companies we are profiling as well as control panels meeting both United States UL and Japanese specifications. We will feature your product on our showroom floor as part of the price of our promotions package. 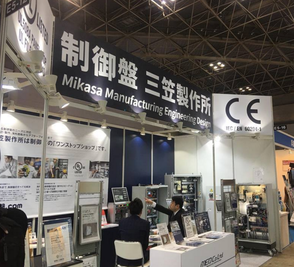 We exhibit extensively at trade shows throughout Japan and abroad where we actively search for potential buyers, investors and partners for our clients.